Create a moving billboard for your company with a Vehicle Wrap from Belfast Print Company. Nearly 90% of people will notice a truck or car displaying print on its side, from the basic “Wash Me!” graffiti in collected dirt on the back of a truck, to an prominently displayed advertisement for a driving school on a teaching car. Businesses today are quick to take advantage of this opportunity to reach a large number of people. A moving billboard on an automobile can attract a lot more attention than a stationary billboard ever will because of the novelty of the vehicle wrap. “Vehicle wraps are the most cost-effective media compared to other outdoor advertisements.” Says Clarke Jackson. “We at Belfast Print Company can create vehicle wrappings on any kind of transportation like buses, trucks, cargo vans, pickups, cars, and tractors. Belfast Print Company pride themselves on the quality of their vehicle wraps. Simplicity, crispness, punch, balance, high clarity and resolution are all standards which Belfast Print Company strive for. Belfast Print Company’s vehicle wraps are made of the utmost quality. All vehicle wraps are anti-fading, durable, resistant to UV radiation and can withstand any weather condition. These durable vehicle wraps are washable and if needed, they can be removed without damaging the vehicle’s factory paint. The messages or graphics in the already set wrap can be changed according to the changing marketing needs. Our graphics are designed by highly experienced and skilled professionals with the state of art equipments. The updated computer technologies provide high resolution graphics that are easily replicable, providing first-rate marketing exposure and are affordable. Turnaround is a quick 3-5 days after proof approval, and shipping is FREE across the UK and Ireland. Belfast Print Company value old fashioned customer service and are happy to offer advice or help over the telephone or through email. 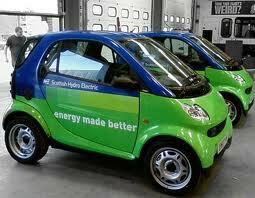 Use the UK and Ireland’s favourite online printing superstore for your vehicle wrap needs: Belfast Print Company. Decide a print firm you can rely on, decide Belfast Print Company. Although there’s quite a few printing companies that could be present in UK and Ireland. Belfast Print Company , are one of many leading printing firms that will over delivery and offer choice and value for money without skipping on quality. Business stationary printing along with business card printing, booklets, posters, flyers & leaflets are some of the many products we can print instore and delivery free anywhere in the UK or Ireland at no extra cost. View all the costs and special offers on the site or give us a call. We print and design a vast range or products from leaflets, flyers, booklets, banners, wraps to leaflet distribution, if it isnt listed or the quantity will not be on the web site then give us a phone or an e mail. Uncover the diffrence with Belfast Print Company for your self . Not solely a unbelievable on time professional service but we additionally take into consideration the surroundings and recycle the waste paper. The printers in Belfast range in dimension from small local corporations to massive B1 printing presses. Are you on the lookout for a dependable and environment friendly printing firm? Belfast Print Company is a belfast printers delivering high quality on time products at affordable prices. Uncover a printing company based mostly in Belfast that deals with the whole of Eire and the UK with a pleasant expert straight talking person on the other end of the phone our customers come again time and time again.The printers in Belfast have an extended traditon of quality to this we follow. Though there are many other leaflet printers in the country, few printers can match to the flair and passion we take in creating and printing your leaflets, while our quality has always been unmatched now you will find that our prices are quite unbeatable too. Whats more, in addition to helping you create a simple yet powerful statement on your leaflets, we will further save you money by our bulk purchase saving options. This can be a great lesson in how straightforward it is to create a viral video. Launched in January, Coca-Cola put a drink machine on a university campus in America and with a digital camera captured what happened. By February they were nicely on their way to pass the 1-million views on YouTube. This video will make you see how easy and effective a viral ad can be without spending lots of money. It gives a great feeling about Coca-Cola and remind you of this lesson to be realized: Creating a video to go viral about your brand is not that complicated nor expensive. The second video i came across was on the same ideas but in a diffrent location and this time a truck was used instead of a machine another great viral marketing ad, this shows that viral marketing can be a very effective tool to reach a wide audience about your product or brand. Your business card is one of the most important business tools you have in your arsenal to attract a clients attention! When used wisely your company will see the benefit of a well-designed business card for many years. which makes it extremely important to capture their attention with the design and information on the business card so that they will want to keep the card for future reference. • Display your company name and logo prominently with larger font and ensure that your corporate colors are reflected. • Ensure that your name and business title is shown clearly. • Place all your contact details on your business card to ensure that you may be contacted by telephone, fax, mobile, Skype, e-mail, Twitter, Face Book, etc. It is more important to have ALL your contact details, so that people on the move may contact you at any time and any means, than it is to have a photograph. • Choose a font style and size that makes it easy to read in any setting, i.e. while driving in a car, in bad lighting, etc. bearing in mind that a large percentage of the world’s population suffers from weaker eyesight. If your contact details are squeezed into a small space with very small font you are going to lose a lot of business. Over the years pop up banner stands have been used as an efficient technique to increase brand awareness and to advertise businesses. They’re commonly used at trade shows and exhibitions to spotlight the products and services that the companies are promoting. Attending an exhibition or trade fair its perfect to have pop up banner stands being light-weight they’re easy to set up and carry; they’re ideal means of driving visitors in the direction of your booth. You can use pop up banner stands at places like retail shops and shopping centres to get your message across. If they are positioned within the correct place then they may deliver lots of curiosity towards your business. Enticing pop banner stands will increase visitor numbers – Pop up Banner stands that are designed with an attention-grabbing brand or symbol often pull the crowds. Belfast Print Company pop up banner stands are a unique approach grabbing the attention of the target audience in addition to showing them that you’ve one thing totally different to your competitors. The outside exhibitions are thought to be the best oppertunity for business owners to showcase there services and products to a wide audience. Roller banners can be used indoor or outdoors and are climate resitant .Pop up Banners stands make a business stand out. There are some fundamental elements which must be considered to be able to keep ahead in the competition pop up banner stands. Relating to outdoor events, the banner stand should be weather proof. The outdoor banner stand must be reliable and of sturdy material to bear all kind of climate conditions. It is extremely essential that one should think about the standard of fabric as one can’t relay on the weather. At Belfast print company all our banners are printed on weather resistant material and can stand the harsh weather. Watercan make the design or paint on the banner weak because of softening of inks and material. It is recommended to wipe after each use when exposed to rain to anyvoid any water damage. So, it can be said that for out of doors occasions one must go together with quality pop up banner stands with the intention to maximise their marketing campaign outcomes even in unhealthy weather. Every new or old business needs exceptionally promoting tools. Of course, there are different varieties of marketing methods out there, however no other kind of marketing is as effective at capturing peoples attention than banner stands. There are totally different sizes and designs available in the market. The principle purpose that most individuals like to choose banners for advertising is that they are often simply assembled without any professional help and lightweight to carry. 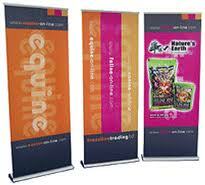 Most banner stands are compact, transportable and lightweight weight. For example, retail stores can set up banner stands in the front of their outlet. How can a business people avoid an opportunity to advertise there business in trade events or exhibitions?